Surviving man-made and natural disasters requires some serious planning. After a disaster occurs, you may not be able to buy food for your family’s survival. That’s one reason why so many activists choose to be prepared with Bug Out Bags, also called 72-hour emergency kits. It’s up to you to do what needs to be done to ensure your self-sufficiency at a time when your government won’t be able to help. 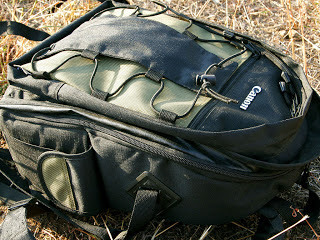 Your Bug Out Bag should be checked regularly to ensure that it’s organized and well stocked. All emergency items should be stored in some type of convenient carrier. Many survivalists prefer backpacks. This makes it easy and convenient to quickly grab your short-term emergency kit if you need to evacuate. Not only are these kits perfect for emergency preparedness, they will also come in handy on camp-outs, hiking trips and biking journeys. A 3-day emergency kit could effectively help to save your life after a natural or man-made disaster. No one actually wants a catastrophe to occur. But, as you know, we simply have no control over this. So, the smart thing to do is to be prepared just in case. When tragedy strikes, things tend to get very hectic and chaotic. Your 72-hour prepper kit will help give you peace of mind when it comes to your short-term emergency survival. Note: The list above is just a reference tool to help you get started on building your 72-hour kit. Every family is different. So, feel free to adjust this list to include your family’s favorite foods as well. Just be sure to address the basic food groups, which you’ll need to consume daily to stay healthy. Being prepared for any type of man-made, natural or financial disaster could mean the difference between survival and possibly death. Every six months or less, go through your entire 72-hour survival kit. Make sure that all your emergency supplies are in proper working order, and your food storage contains products that are still good for consumption. Cycle all of your regular food storage to keep track of what needs to be eaten now and replaced because of closely approaching “eat by” dates. All of these tips will help you maintain self-sufficiency for three whole days. This content was written by Chett Wright of Food Insurance, leaders in emergency food storage supplies. Ready to get your food storage plan together? Check out the great food storage products at FoodInsurance.com today.